Whole fish weight around 2 kg to 2.5 kg. The item is dressed, cleaned and then cut into medium sizes (approx. 7 - 8 pieces in 500 gm. packet). 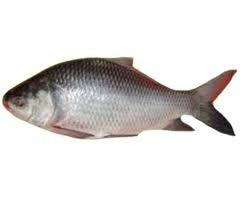 Catla (Catla catla), also known as the major (Indian) carp, is an economically important South Asian freshwater fish in the carp family Cyprinidae. It is commonly found in rivers and lakes in northern India, Nepal, Myanmar, Bangladesh, and Pakistan. It is rich in proteins and low in fat. It also contains plenty of minerals such as Sodium, Protein, Calcium and Iron. 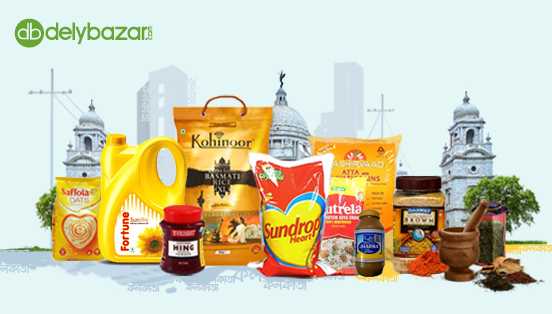 Vitamins such as Vitamins A and C. It is very popular in Bengali cuisine - served with mustard oil gravy. They otherwise can be served fried or grilled.